Facility maintenance programs can be complex. Facility safety labeling is an important part of any program, and keeping that portion of the program running smoothly can be a challenge. With decades of combined experience in the industry, Industrial Safety Solutions can provide you with the support you need to keep your facility maintenance program on time and on budget. 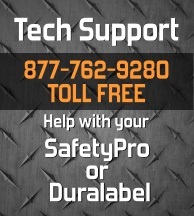 If you are having trouble with your SafetyPro 4G, DuraLabel or Brady label printer, contact us for free technical support. We have experience with DuraLabel 4 TTP, DuraLabel Pro, Brady MiniMark, Brady GlobalMark and Brady PowerMark machines. 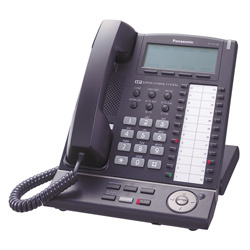 We can usually diagnose your printer issues on the phone, or in one business day for in-house repairs. If your machine can not be repaired by our trained technicians, we can offer trade-in and trade-up programs for every manufacturer. If you have an urgent need for your label printer, we offer rapid replacement service with express shipping options. We can usually have a new printer out to your location in 1-3 business days. Our trained support staff can help walk you through even the most advanced technical issues to help you get back online and labeling as quickly as possible. Eliminate down time in your facility maintenance program by contacting us any time there is a labeling problem. We will never charge you for a support call. When you contact Industrial Safety Solutions, you'll get fast, friendly service at no charge. Count on us for all of your facility maintenance label printing needs.